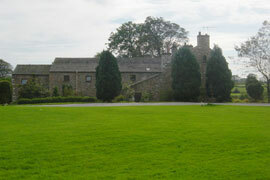 Stackstead Farm Caravan and Camp Site is about a mile from the Yorkshire Dales village of Ingleton. With panoramic views of Ingleborough and Whernside, we are surrounded by some of the most beautiful limestone countryside in England. It is ideal for walkers and there are prime historical and geological features to explore in the nearby surrounding area. 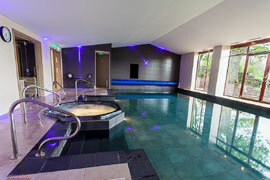 Back at Stackstead, we offer a newly built leisure centre including indoor heated swimming pool with stunning views of Ingleborough, small gym and relaxing spa and sauna. There is plenty to see and do in the Yorkshire Three Peaks area. Visit the magnificent Ingleborough and White Scar show caves or ride on the Settle to Carlisle railway. There is some great caves for caving and potholing as well as numerous walks including the beautiful Ingleton Waterfalls walk. For the energetic, challenge yourself to the impressive 3 peaks of Ingleborough 2,373ft, Whernside 2,418ft and Pen-y-ghent 2,277ft. - Our 2 acre, lawned site has 5 touring caravan pitches. - The caravan club CL is private and secluded with beautiful views. - ALL our caravan pitches have hard standing and electric. - We also take tents. Advanced booking is essential for weekend bookings during the Summer. Why not advance book anyway and avoid disappointment.